Due to high demand, this event will now be taking place in Holy Trinity Church. If you have already booked we will be in touch shortly regarding this change. 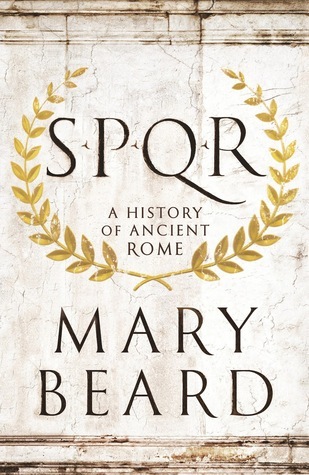 Mary Beard is an international sensation; SPQR changed the way we think about the Classical world, and provided brilliant and authoritative insight into the Roman Empire. We are delighted to welcome Mary to St Andrews for a talk on SPQR and the Roman World; this is an opportunity to hear from one of the most celebrated intellectuals of the day. Mary Beard is a professor of classics at Newnham College, Cambridge, and the classics editor of the TLS. Her previous books include the bestselling, Wolfson Prize-winning Pompeii, The Roman Triumph, The Parthenon and Confronting the Classics. Her blog has been collected in the books It’s a Don’s Life and All in a Don’s Day. She is in the 2014 top 10 Prospect list of the most influential thinkers in the world.